The Amish community is a mystery to a lot of people. We think we know what they are all about, but mostly our information is built off of rumours and stereotypes. The truth is, we probably don’t know a whole lot about this group of people. When we are ignorant against a certain group of people, it tends to breed false information for which stereotypes are born. Let’s set the record straight with this brief description. The Amish area a group of traditionalist Christian church fellowships. They are closely related too, but vastly different to the Mennonite churches. The Amish are known for living quite simple lives. They dress plain, and they do not use the same modern technologies that we all know and love (maybe too much). The Amish are baptized between the ages of 16 and 25, and once baptized they may only marry within the religion. They take their religion and customs very seriously, and are known to be a very close-knit community. I could go on and on about the workings and beliefs of the Amish order, but I would need a whole article for that. What you have there are the basics. Just like families from every other religion in the world, the Amish have husbands, wives, children and mothers. An Amish mother faces many (If not all) the hardships all the mothers around the world face, but she has her secrets. We looked deep and hard and found 15 of their secrets they may not want you to know. The Amish have been known for having very ‘backward’ ways of thinking, and that often revolves around the male role in the household. The male is the head of the household in an Amish family. While the phrase may be ‘mother knows best’, it is not true in their house. They respect the male leads and will often refer to them as the ‘leader’. Please do not take this to mean that the women are treated like slaves, because they are absolutely not. 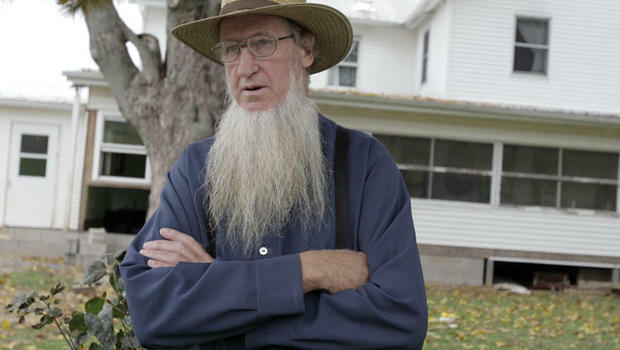 There are bad relationships in the Amish community, they can not except that. But, the men do not treat the women as if they are lower class, they are very much partners. It is just if you ask an Amish mother who wears the pants in the relationship, she will always say the male does. 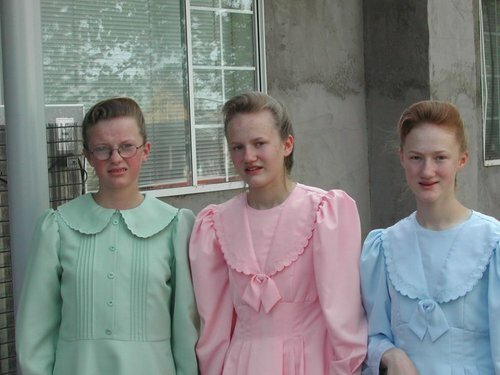 The average amount of children that an “English” (non-Amish) woman will have is 2, and I think that is pushing it. The average amount of children the Amish woman has is 7. This is much in line with the amount of children the average English woman had centuries ago. This is largely due to the religious and cultural aspects of the Amish community. It also is a clear reflection on the Amish way of life. Due to the fact that the community is so close, and everyone helps everyone, women are better able to handle a larger family. Since Amish women are also all home makers they are able to provide for a large number of children. This is drastically different than the English woman who has to go out and work to provide for her (much smaller) family. Many have made assumptions that the Amish must homeschool their children, because that is just how they live their life. This is an unfair stereotype, and while some do choose to home school their children, most do not. This thought may come from the fact that the Amish are a very simple group of people. By simple, we mean that they do not use a lot of modern technology, so one would think that they also teach their children at home. Most children are in an established school setting, they believe it is important for the children to be around other children of the same age. The school is a one house school room, and the class sizes are small. The smallness of the class size ensures that all the families know each other and they have an open means of communication. When you look at children today, you may see a lot of noses in technology. Smart phones, TV and Ipads seem to be perfectly normal. The Amish do not use such devices, so you may be wondering if their children are constantly bored. The short answer is no, they are not bored. Children are put to work. They help their family on a daily basis. They all have daily chores to complete around the house. Without modern technology, it would take mom forever to finish a lot of the chores that we do so quickly and mindlessly. She requires the help of her children to help out and get everything done when it needs to be done. The kicker is, the children do not usually get an allowance. They do it because it is the right thing to do. So, with all of this work, what do moms and the children do for fun. Being Amish is a lot similar to working on a farm, and a lot of them have farms as their business. If anyone has worked on a farm before you will know that it is constant and hard work. Is there any room for fun in an Amish lifestyle? Yes, of course it is. Amish mom’s and their children do exactly what the English do for fun. They go outside and they play. They participate in sports, they ride horses and just about anything else you can think of. If they need to stay indoors due to poor weather, they take part in some games, or some kind of craft or hobby. Basically, they do a lot of the things we wish our children would do, if they would put down the screens! OK, so we know that there are certain ‘rules’ for the Amish, but they don’t always have to follow them. They also are not as strict as the media or our stereotypes make them out to be. While a lot of them do not own a TV or a DVD player, it does not mean that they are absolutely not allowed to use them under any circumstances. When a lot of Amish families go on vacation, or stay in hotels or such, they will partake in a movie or two. There are still a lot of control about this held by the Amish mom. She chooses the movie, and it will not have anything that is deemed inappropriate for the children. No swearing, sexual language or violence are some pretty standard guidelines that they follow. Well, we already discussed how the Amish tend to have much larger families than us, so that would only lead us to believe that they have a lot more laundry than we could ever imagine. They also do not have washing machines or dryers, so this means that they have to do it all by hand. I (as an English mother) can not imagine the work that goes into that. This means that they have clothesline that seem to defeat the basic laws of physics. They are very long, and they need to be strong enough to hold a whole lot of wet, hanging clothes. Not only are they long, but talk about hanging your dirty laundry out to dry. All the families ‘delicates’ are on display for all too see, and they are all OK with that. The Amish may not want you to know that they really do believe breastfeeding can be used as a form of birth control. 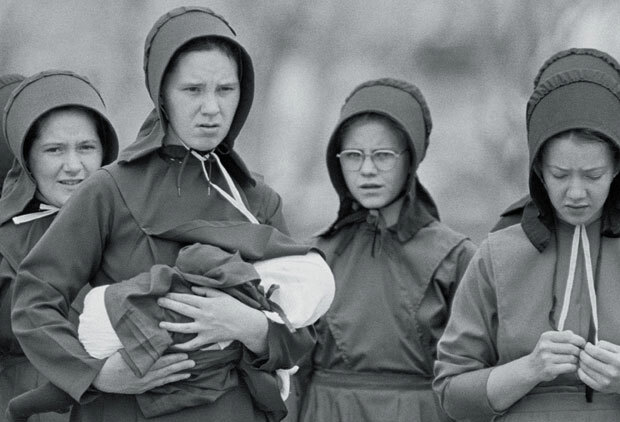 The Amish do not use any form of modern birth control (unless medically required), so there must be something they are doing to prevent their babies from being born so close together. The truth is, all they do is breastfeed. 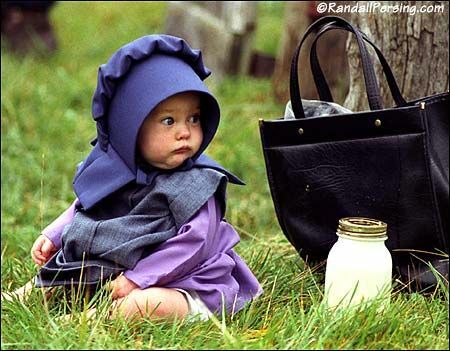 It is not uncommon to see a lot of Amish women breastfeeding. Not only do they believe in this form of birth control, but they advocate for it within their communities. They spread the word to their other mom friends, and since the community is so close in an Amish one, word travels fast. They are even educated about it by professionals. While we know it is not a guaranteed form of birth control, it can help, and it may be the only one they have. The Amish woman and the English woman are alike in one way; they love their babies more than anything. However, they are secretly awaiting menopause to come. Due to the large families the Amish tend to have, as well as the lack of birth control, the Amish mothers often find themselves with a large family. With no modern technologies, they are doing all the cleaning, washing and caring by hand and it can only be exhausting. It can only make sense that a woman who has bore many children, and cared for them all those years will be full of joy at the first sight of menopause. It is probably like taking a breath after holding it for a while. She can finally relax and not have to worry about raising any more children! That is, until she has grandchildren. 6 What Is In A Name? We put a lot of thought into the name we pick for our babies, everyone now a days seems to be going for the most unique and interesting name. Not the Amish, they are going for timeless. You will not find any North West’s or Blue Ivy’s in Amish Country. Babies are almost always named after someone in the family. It would not be uncommon if two women in the same family had a baby at the same time, that they would need to know the other baby’s name as to not repeat it. They are not given a middle name at all, they may get an initial to distinguish families, but that is it. Names that are common among the Amish are Abraham, Cornelius, Mary and Emma. They take it so seriously, it would not be uncommon for it to take a few days before they settle one a name. When one of us, that is not part of the Amish culture get pregnant, it can be quite overwhelming as we usually have no idea what we are doing. This is not the case when you are dealing with an Amish woman. Girls are taught at a young age how to care for a baby. They learn how to clothe and diaper a baby. Here is a side fact; the Amish strictly use cloth diapers, no disposable. They also learn skills such as bundling, bathing and even how to soothe a fussy baby. This training is important in the Amish community, as they all rely on each other to help. When a woman gives birth they will often have a young person come to their house to assist them for the first few weeks. More on these hired helps in the next entry. When an Amish woman gives birth, it is quite common that she may have a “hired girl” come to work for her for the first 4-6 weeks. They have many tasks to complete, cooking and cleaning. This is to help the new mother recover from childbirth (which would be all natural BTW). They want the mom to get back to normal soon so she can resume her household and farm chores. These girls are often teen-aged girls, who are done with their schooling but who have not been baptized yet. This would be a sort of apprenticeship for them as they are about to enter into the Amish religion, and be a wife and mother herself. 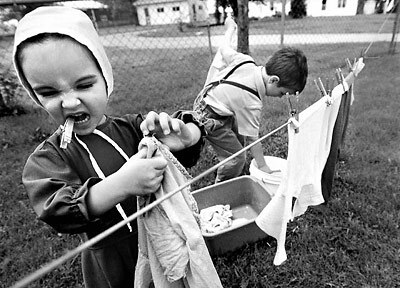 Being an Amish mother is a very serious task, and they do everything hands on. No shiny gadgets or tools to help them along the way. This is probably the biggest secret that no Amish mother (or person) wants anyone to figure out. It is quite clear however, that inbreeding does take place, if you just look at the facts. Right now, there are about 250, 000 Amish living in the United States, all of whom descended from just 200 founders in the 18th century. This seems suspicious to me. Also, they have the highest infant mortality rate as well as a high rate of genetic disorders. All of which can be the downfall of inbreeding. They do not always do this intentionally. Before they marry and have children, the Amish do not do any form of genetic screening. This means that they could be marrying and breeding with distinct relatives. It seems like some simple testing could solve all of these issues, but then how would they grow the population? If you take a look at your child’s toybox, or a friend’s kids, you will notice that they have probably have an over abundance of beautiful and expensive toys. Not the Amish. Now, it is to be expected that they would not have a large amount of physical toys, or even expensive ones. They play with nature, and their toys are all usually homemade. Unfortunately, this means that their toys are kind of creepy. 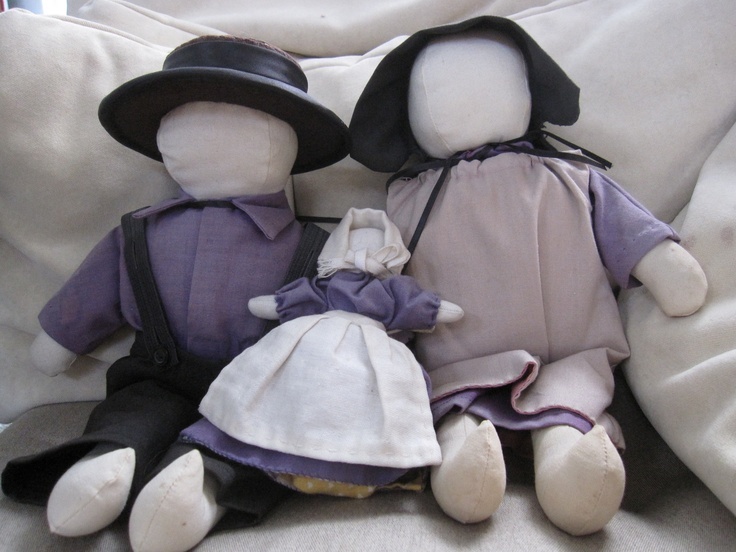 If you ever get the chance to see an Amish doll, you will notice one thing about them that is very different than the average American Girl doll; they are faceless. That’s right, their dolls do not have any faces on them, just a blank white head. The reason behind this is to not promote pride or vanity. They believe that it helps in their mission to avoid vanity among the children. It may avoid pride, but it sure does bring nightmares. A lot of English mothers and fathers look forward to celebrating their child’s 16th birthday party. Usually, a big party is thrown and family and friends gather to celebrate. Not the Amish mothers, they send their kids away to get into all kinds of trouble. This is called Rumspringa, and it is a chance for an Amish teen to go out and break all the normal ‘rules’ of the Amish lifestyle. This means, they get to leave home, drink cola, go to the movies, and maybe even learn to drive a car. This is usually done before the Amish baptism, for which there is no turning back. It is a chance to let them experience life the non-Amish way. It is not a secret (or a surprise) that some do not come back home to the Amish way after experiencing this other way of life.